Personnage - Pilot. Points: 7/10. Santé: 7. 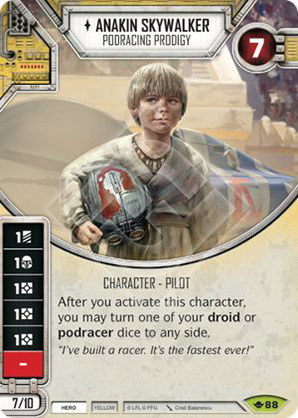 After you activate this character, you may turn one of your droid or podracer dice to any side. "I've built a racer. It's the fastest ever!" Way of the Force #88.